Designed for the entry-level student. 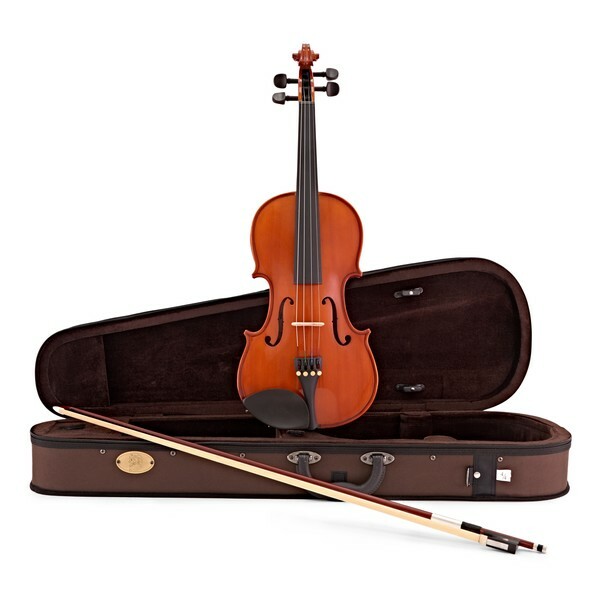 The Stentor Student Standard violin outfit is full size and carved from solid tonewoods, with inlaid purfling and blackened hardwood pegs and fingerboard. 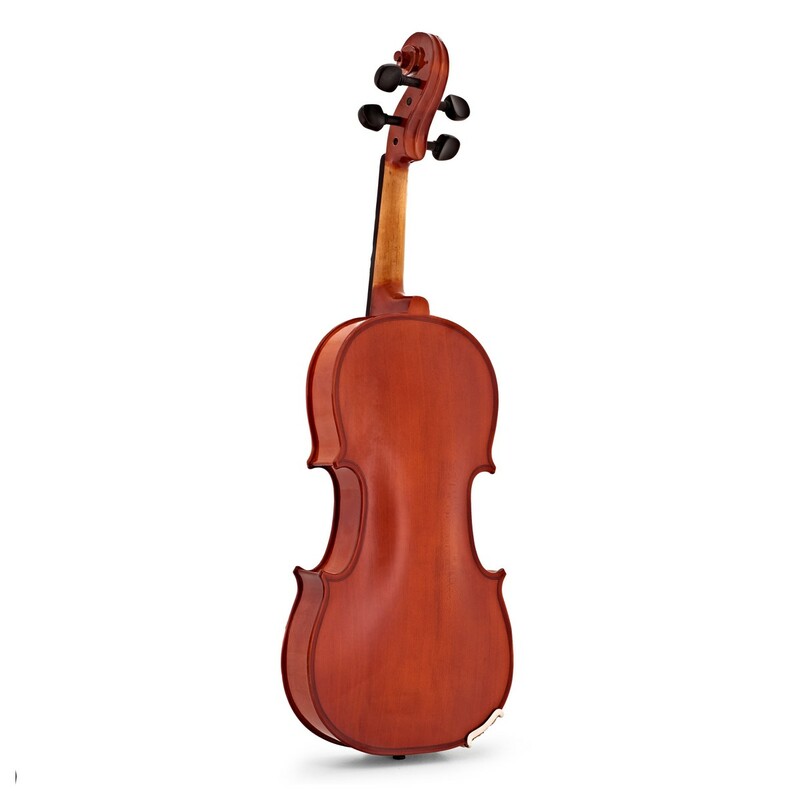 An ideal choice for beginners, this violin is fitted with integral adjusters for fine tuning. All components have been built to a high standard, right down to the strings and the bridge. 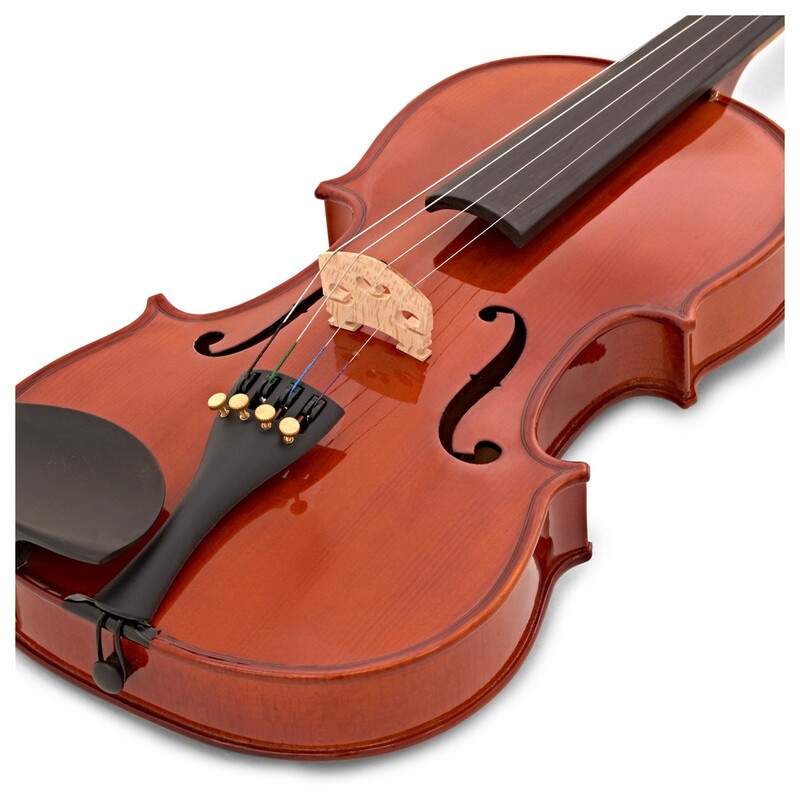 This is unlike many other economy instruments that either use composite woods or laminate tops for the violin bodies. 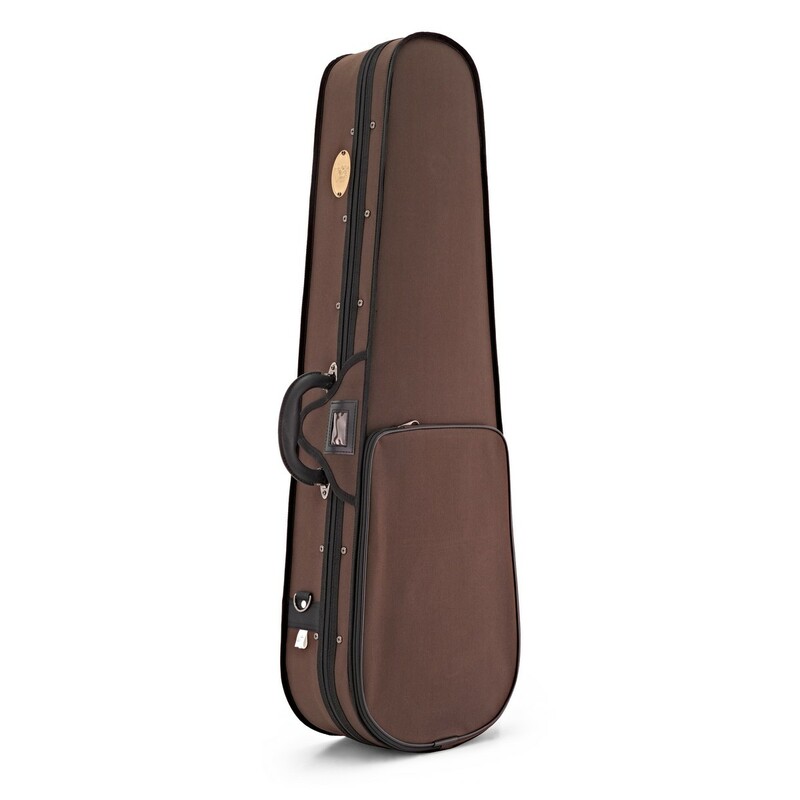 Offering great value, this violin outfit comes complete with a lightweight case and wooden bow with ebony frog for optimum portability. 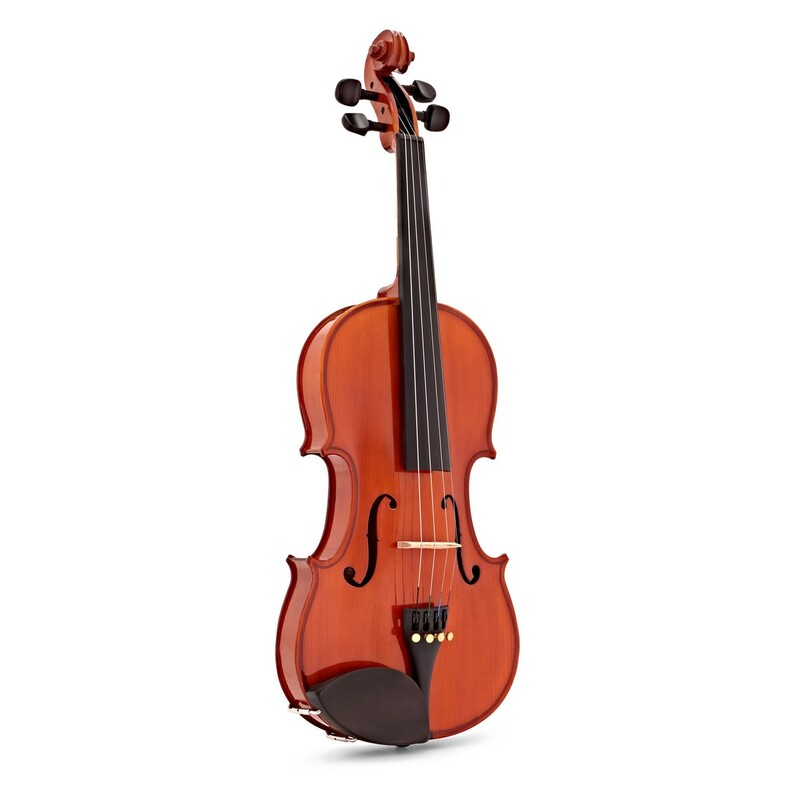 A top choice for new beginners and schools, the Student Standard is listed at a great price whilst still offering a great sounding instrument. 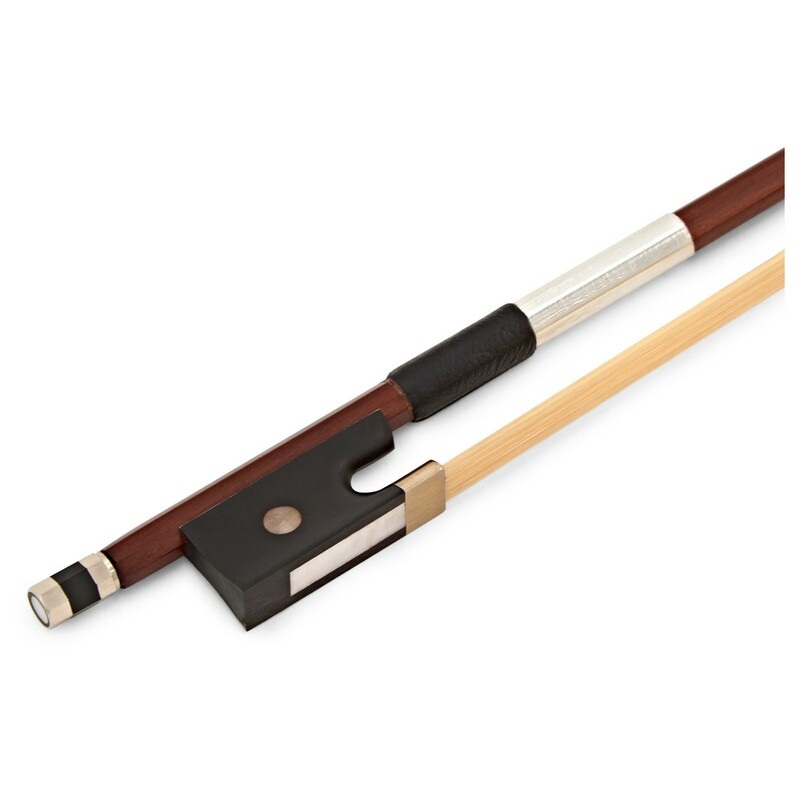 With hardwood pegs and fingerboard and a carved solid body, this violin produces a sound and timbre that you would expect of a more expensive instrument. All components have been built to a high standard, right down to the strings and the bridge. The integral tuners allow fine tuning, making the whole process of getting into tune a lot easier and faster.